Severe loading conditions such as strong winds and earthquakes acting on modern tall buildings and structures can cause significant loads and vibrations. Recent trends toward slender, flexible, and light-weight buildings have left a large number of buildings susceptible to wind-induced motion. Furthermore, human perception of building motion has become a critical consideration in modern building design. More complex building shapes and structural systems further accentuate eccentricities between the mass center, the elastic center, and the instantaneous point of application of aerodynamic loads, and consequently will generate significant torsional effects. Verifying dynamic structural analysis requires the development of direct dynamic measurement tools and techniques in order to determine the natural frequencies, damping characteristics, and mode shapes. Among these tools accelerometers have played the most important part in analyzing structural response due to severe loading conditions. However, they provide only a relative acceleration measurement. The displacement from acceleration measurement cannot be obtained directly by double integration. In contrast to accelerometers, GPS can directly measure position coordinates, thereby providing an opportunity to monitor, in real-time and full scale, the dynamic characteristics of a structure. GPS used in the real-time kinematic mode (GPSRTK) offers direct displacement measurements for dynamic monitoring. Earlier studies by the authors and other researchers, referenced in the Additional Resources section at the end of this article, have shown the efficiency and feasibility of structural deformation monitoring by combining accelerometer and GPS-RTK. However, GPS-RTK has its own limitations. For example, the measurement accuracy can be affected by multipath and depends strongly on satellite geometry. Moreover, the typical GPS-RTK 20Hz sampling rate will limit its capability in detecting certain high mode signals of some structures. The new 100Hz GPS-RTK systems need to be further tested in order to ensure the independence of the measurements. 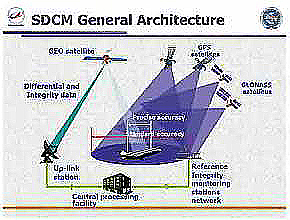 In order to exploit the advantages of both GPS-RTK and accelerometers, two data processing strategies have typically been used, namely to convert GPS measured displacement to acceleration through double differentiation and compare it with the accelerometer measurements (what we refer to as forward transformation), or to convert the accelerometer measurements into displacement through double integration and compare it with GPS measured displacement (the reverse transformation). The latter approach is much more challenging because we have to determine two integration constants in order to recover all the components of displacement (static, quasi-static and dynamic). If the structure to be monitored is subject to a quasi-static force, as in the case of a typhoon, this further complicates the analysis. Although earlier research has proposed a lab-based threshold setting for accelerometers to deal with the quasi-static issue, we believe that avoiding this procedure and developing new ways to recover the false and missing measurements from GPS by acceleration transformation would provide a preferred approach. This article discusses recent efforts to design such a system based on a new integration approach that employs the correlation signals directly detected from a GPS-RTK system and an accelerometer to transform one form of measurement to the other. The methodology consists of a Fast Fourier Transform (FFT) for correlated signal identification, a filtering technique, delay compensation, and velocity linear trend estimation from both GPS and accelerometer measurements. We also present results derived from its installation on structures in Japan that subsequently experienced the effects of an earthquake and typhoon.